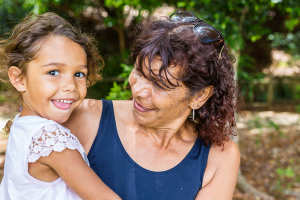 This program secures properties in the private rental market under a head lease agreement to provide homes for children in care and their carers. The program is managed by Foundation Housing Ltd in partnership with the WA State Government, through the Department of Communities. The purpose of the program is to unite a child in foster care with a family member such as a grandparent who is willing to care for the child, but who doesn’t currently live in a home suitable for the child to move in to. Usually, this is because the existing home has an insufficient number of bedrooms. The tenants are selected by the Department of Communities and referred to Foundation Housing for placement. Only tenants who have demonstrably good tenancy records are considered for the program. • An opportunity to partake in economically sustainable philanthropy. We are currently seeking large homes (4 plus bedrooms) in the Perth metropolitan area. Email us to receive a brochure with further details, or call Jo Arthur from Foundation Housing, to discuss opportunities for leasing your property.